Last week I introduced you to Beauty for Real, reviewing both their Light Up Nail Polish in #2 Light On Your Toes and Get Glowing! Cheek Tint and Luminizer in Get Lit / In the Pink; and today you have the chance to make a bottle of the ultra-girly polish your very own, courtesy of Beauty for Real! Thanks to Beauty for Real for sponsoring this giveaway! Oh, this is so cool! Love this giveaway! What a great color! What a wonderful prize! Love this trend for summer and all year around. My favorites right now are classic pinks! 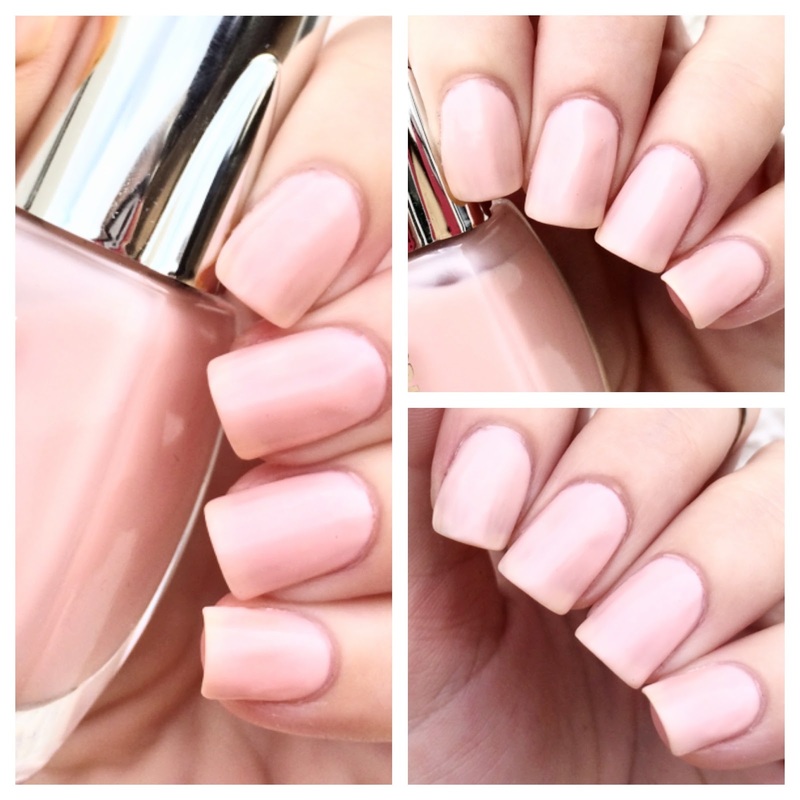 Such a pretty soft pink color (again, how are your nails always perfect?!). I feel like this color would go so well with anything. Thanks for sharing! As for nail color, I don't know! I really like the color blue. Love this color. My fave is usually a black, french with white, or a mint green. Thanks for giving us a chance to win! Love your blog! Such a pretty color! I don't really have a favorite really, depends on the mood. I tend to gravitate towards blues and greens though. My all time favorite was the color my grandma always wore. I think it was Fire and Ice by Revlon. My fav is revlon-vintage rose. My fav ia revlon- vintage rose. It's difficult to choose just ONE favorite polish because my daughter and I have a "slight polish OBSESSION"...LOL! If I HAD to choose just one favorite, I always seem to go back to Zoya Dream. I'm a blue lover for sure, and that one has holo glitter in it which is my favorite! That's a tough question... I think that I'd have to say maroon or navy! I'm a nail polish geek so I love them all. Right now any shade of blue has me enthralled. i love black, it can be mixed with any other color. My all-time favorite is OPI Big Red Apple. Oh man, I can't answer that. I'm a Libra and I can never make a decision. I have to many favorites! I love Cuccio Colour -Totally Tokyo..
A soft pink is my favorite color! I love chinese red/bright coraly-pink polishes! They're bright for Spring and Summer but I feel like I can carry them into fall and then have bright nails in the cold dreary winter. Love an all-season polish color. I love a dark red color, like Bordeaux!